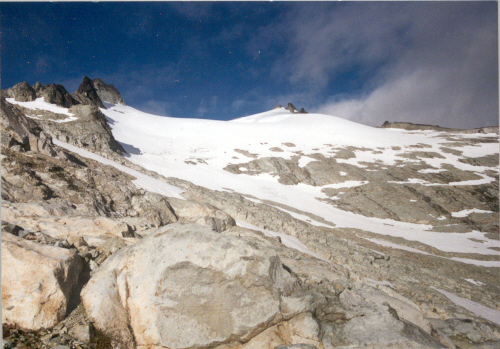 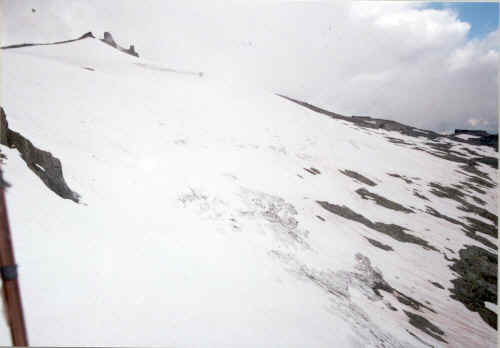 Daniels Glacier in 1997, from the southeast. 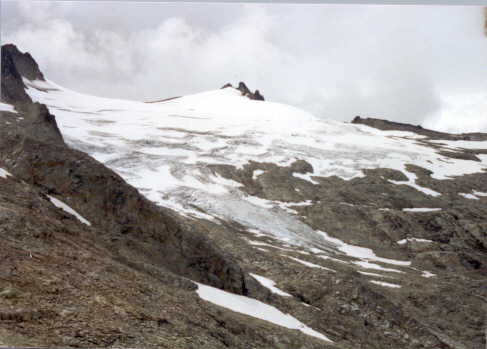 Daniels Glacier in 1990, from the southeast. 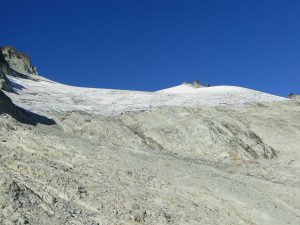 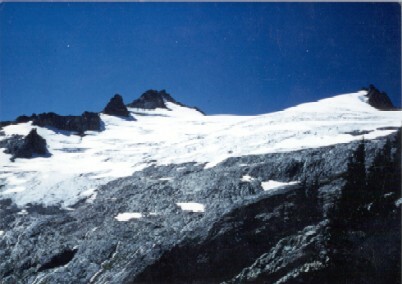 Daniels Glacier in 2000, from the southeast. 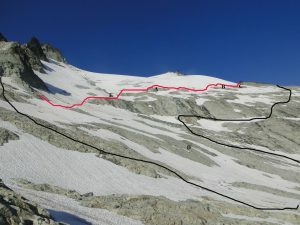 Daniels Glacier in 2010 indicating the 2010 margin red and 1985 margin in black.